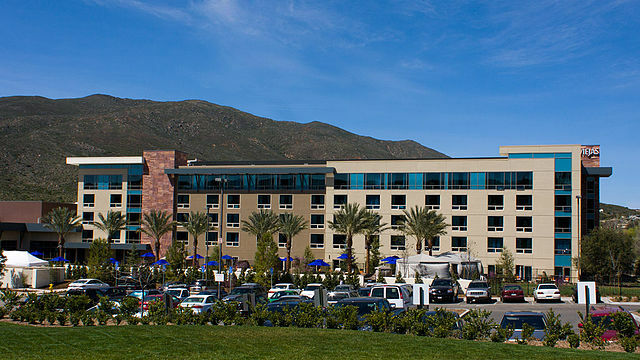 A man suspected in a string of burglaries throughout the county was arrested Wednesday morning in the Viejas Casino & Resort parking lot after he tried, unsuccessfully, to flee from deputies, authorities are reporting. Steven Michael Johnson, 34, was taken into custody shortly after 7 a.m. following a brief attempted escape, according to a San Diego County Sheriff’s Department report. The incident began in the Viejas parking structure after deputies there spotted a black truck that matched the description of one associated with a recent mail theft in unincorporated area near Lakeside, the report stated. The truck’s driver, Johnson, tried driving away at a high rate of speed when deputies approached, but was quickly apprehended after the truck stalled. During their search of the truck and Johnson, deputies found several items believed to be stolen, including a woman’s purse, various electronic items, clothing, and an IRS check valued at over $59,000, the report continued. Several knives and a replica firearm were also found, according to the report. “It was ultimately determined that Johnson had been involved in thefts in the Rancho San Diego, Alpine and Lakeside neighborhoods, as well as a vehicle burglary in La Jolla,” the report read. Johnson was arrested on two counts of identity theft, one count of possession of stolen property and one count of resisting arrest, the report continued. Several theft victims have been located and additional victims are expected to be located pending further investigative follow-up, the report stated.